Dental onlays, sometimes called “partial crowns” or “indirect fillings,” cover one or more of the cusps on the biting surface of a tooth in order to treat cavities, cracks, or broken teeth. Dental Onlays are a good option when the tooth is too damaged to support a dental filling, but is not damaged enough to require a full crown. Inlays, onlays, and crowns can all repair damage to teeth and restore the tooth’s structure. The particular treatment you receive will depend on the extent of the damage, your dentist’s recommendation, and your own personal preference. 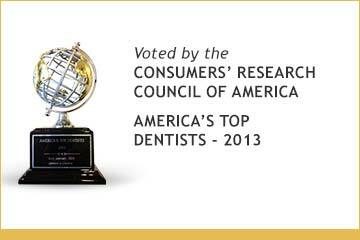 We at Art of Dentistry Institute can help you determine the best procedure for your situation. Inlays – A dental inlay is smaller than an onlay and fills the area on the biting surface of a tooth between the tooth’s cusps. Onlays – An onlay covers one or more of a tooth’s cusps on the biting surface. Crowns – A crown will cover the entire visible surface of a tooth. 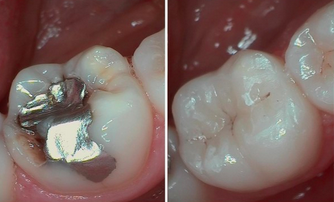 Crowns almost always require filing the treated tooth so that the crown will fit. Depending on your budget and aesthetic needs, dental onlays can be made from gold, composite resin or porcelain. Composite resin – Resin onlays are tooth colored however, they are more prone to staining and wear than the other materials. 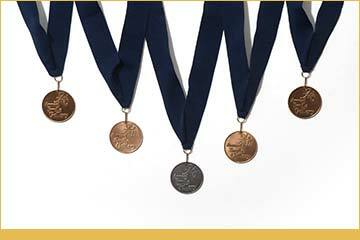 Gold – Gold is generally applied if a natural look is not important to the patient. It is often used on teeth near the back of the mouth. Gold onlays are more durable than composite resin onlays. Porcelain – Porcelain onlays are the most esthetic type that naturally mimic the teeth.They are highly durable and resist staining and discoloration. 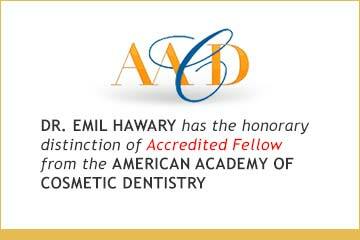 Dr. Hawary will prepare the tooth to be treated by removing any tooth decay. An impression will then be made of the tooth’s structure and will be sent to a dental laboratory to manufacture the onlay. Since it may take two weeks for the onlay to be made, a temporary dental filling will be put in place to preserve the tooth. At a subsequent dental visit, the temporary filling will be removed and the onlay will be cemented onto the tooth. If you have decayed, cracked, or broken teeth, and are considering a restorative procedure in the Orange County area, contact Art of Dentistry Institute at 949-955-3366 to schedule a consultation. We look forward to hearing from you!